Looks like a neat place. You did a really nice job composing this photo and capturing the vibrant colors in it too. This is beautiful! Love the colors. Botanical Gardens do a great service when they provide fun experiences for visiting kids. This looks very inviting, an entrance to a wonderland. Great shot, very colorful find! 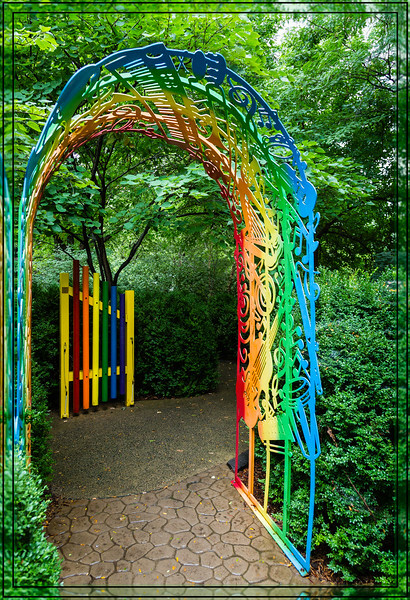 Love the rainbow arch and the chimes beyond! Great find. It would have been fun painting this.